This morning's bag checks at Braddock Rd. via @deafinthecity. "These were taken while I was on the platform. Once again, I was running late for work so I took the rail today. I was surprised they were doing bag checks at Braddock Road. I guess it's a high crime area and full of gangsta workers like myself. Unsuck reached out to Bruce Schneier who, according to his website, is "an internationally renowned security technologist and author. Described by The Economist as a 'security guru,' he is best known as a refreshingly candid and lucid security critic and commentator. When people want to know how security really works, they turn to Schneier." He wrote about random bag searches on his blog back in 2005, when the New York subway implemented them. Below is an excerpt from his post. He said in an email he'd not changed his opinion. Final note: I often get comments along the lines of "Stop criticizing stuff; tell us what we should do." My answer is always the same. Counterterrorism is most effective when it doesn't make arbitrary assumptions about the terrorists' plans. 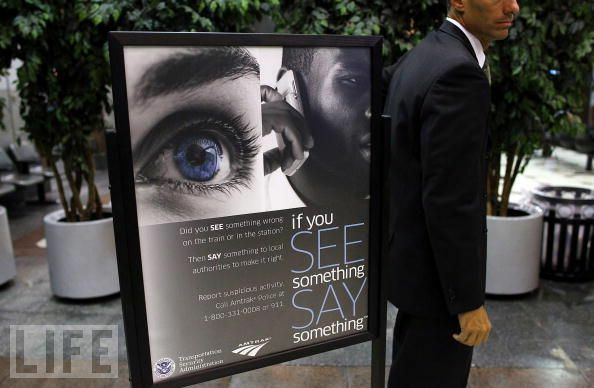 Stop searching bags on the subways, and spend the money on 1) intelligence and investigation -- stopping the terrorists regardless of what their plans are, and 2) emergency response -- lessening the impact of a terrorist attack, regardless of what the plans are. Countermeasures that defend against particular targets, or assume particular tactics, or cause the terrorists to make insignificant modifications in their plans, or that surveil the entire population looking for the few terrorists, are largely not worth it. Other videos of "DC Jingle Bells Man." Metro says the implementation of random bag searches was not in response to any specific threat or event. Metro does confirm the below, which is making the email rounds and landed in Unsuck's inbox. They said it's a "suspicious activity report (SAR). These are compiled from and redistributed daily to law enforcement agencies across the National Capitol Region." 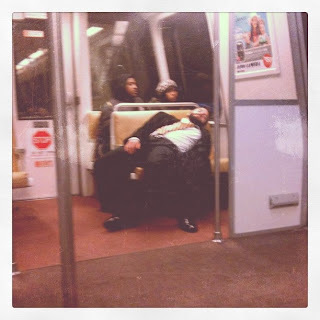 Recent suspicious activity reporting raises concerns regarding the DC Metro. The redacted reports below discuss three different occurrences of suspicious activity at NCR Metro stations. 1) On 30 Nov 10, at Rosslyn Metro, a Middle Eastern Male (PERS1) was observed leaving a black leather duffel bag next to the exit fare machine. He was then advised that he left his bag. PERS1 returned and picked up his bag left the building and commented to the person "You are lucky" (NFI). PERS1 is described as a male in his 50's, 5'6", 210 lbs with black hair, wearing a black sport coat with black pants. 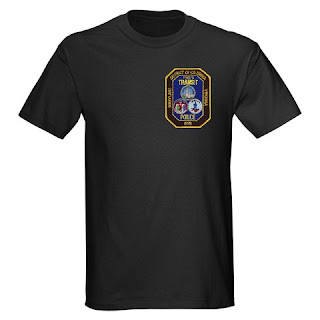 A second Middle Eastern Male (PERS2) who may have been in PERS1's company is described as being in his 50's, 5'10", 190 lbs with black and white hair, wearing a light colored jacket with beige pants. PERS1 boarded the 5A bus to Dulles Airport. 2) On 24 Nov 10, a suspected Black Male (PERS1) around the escalator pretended to drop an item, PERS1 used a tape measure to measure the base of the escalator. 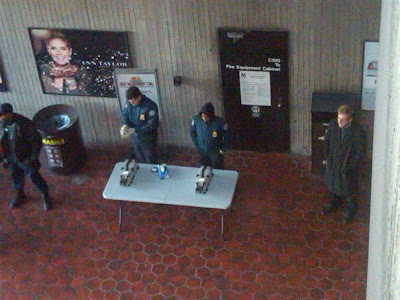 Once PERS1 became aware of being observed, PERS1 retracted the tape measure and entered the Metro Center Station. 3) On 04 Nov 10, an identified Middle Eastern Male (PERS1) was observed conducting active surveillance of the lower level platforms of the Metro Station. PERS1 missed several trains while remaining on the platform. Any one of these events raise concern. Such concerns are elevated, however, based on the three events occurring within a one month timeframe. These events could be those 'dots' we read about in post-attack reports--you know, the ones that intelligence analysts, law enforcement, and security professionals are accused of not connecting. Please share this information with your facility ATOs and POCs. Many of our facility tenants and DoD personnel use Metro either for work or in off time and should be aware of such potential pre-operational activity. Our facility tenants serve as invaluable sources of information and force multipliers regarding suspicious activity reporting. Such reporting could identify the 'dots' and facilitate the connections that prevent an attack. I want to report what I suspect was a small explosion on an Orange Line Metro train this afternoon. About an hour ago (4:30 p.m.), I was riding on a Vienna-bound Orange Line train that was stopped at the Ballston station. The doors closed, and the train had barely begun to move when a very loud bang was heard that shook the train. I didn't see anything, but other passengers in my car mentioned seeing a flash of light. The train operator could be heard over the call box asking if anyone was injured. I suppose the answer was no, because we proceeded to East Falls Church, and eventually to Vienna, where the train was taken out of service. The operator did not make any announcements, but was heard at East Falls Church asking for passengers in car 1202 (I was in 1208) to page him on the emergency call box. So much for taking some time off for the holidays. 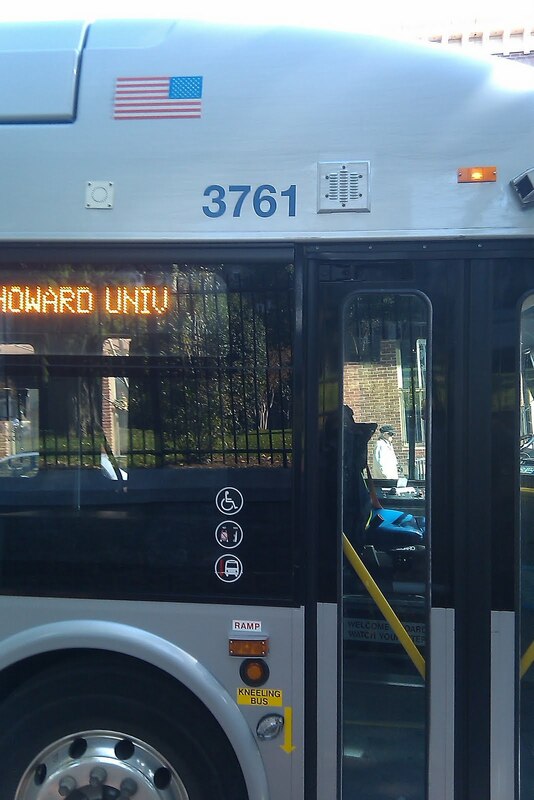 On Nov. 16, several Metro riders were greeted with a scary sight at Tenleytown. As they climbed what appeared to be a run of the mill broken escalator, they arrived near the top to see a gaping hole where some steps were missing because the escalator was under repair. You can read about the incident here, but the really amazing facts emerged today during a Metro meeting. Seems someone "appearing" to be a Metro worker removed one of the accordion barriers that seem to adorn every other escalator in the system from in front of the Tenleytown unit. The reason the word "appearing" was used is that despite the culprit having a radio and a key to turn off and on escalators, the film from the video surveillance camera was "grainy," so they can't be 99 percent sure it really was a Metro worker. So what are the brainiacs at Metro going to do to solve the problem? 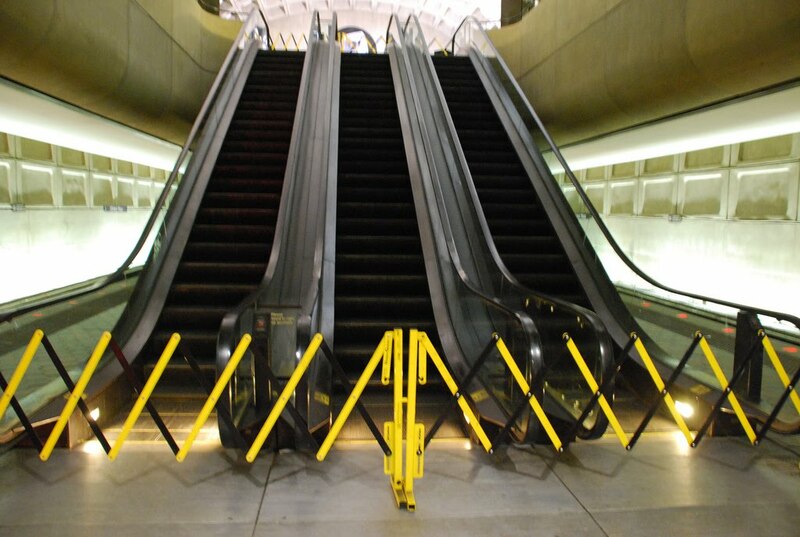 They're now looking into some way to make the barriers clamp down to the escalator units so they're not as easy to remove. They're also going to upgrade the video surveillance system. Those will no doubt cost money, probably not a lot, but still. Sounds just like the screaming bus solution: find a technological or physical "solution" to try to fix a culture that is all too often irresponsible and unsafe. Instead, Metro, why don't you have some kind of system in place, so that you know who tinkers with your escalators and who might have been "on duty" that day? How about finding out who did this, and firing them for endangering the lives of riders because that's exactly what they did. In the end, this dangerous situation was remedied by, you guessed it, a rider who was able to find a cone (not hard) and put it in front of the broken escalator to prevent more people from climbing up. What did that rider get for his or her initiative? A fare increase and a cracked rail. The following was posted on the ATU 689 website in response to this post. When angry with Metro, blame the union. That seems to be the default position or maybe even the first line of action for Metro cynics who don’t care about facts. The latest baseless rant comes from Kathryn Ciano. 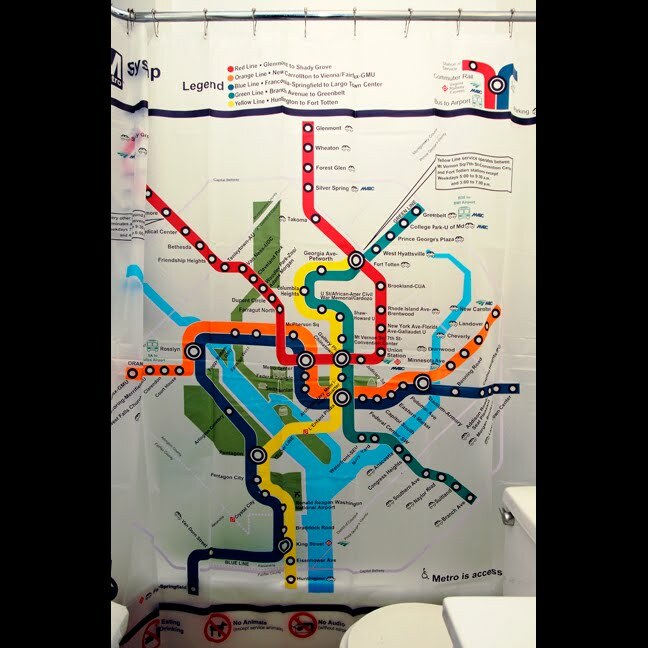 In a blog posted in The Washington Examiner, Unsuck DC’s Metro and OpenMarket.org on December 7, Ciano says, “WMATA unions pay employees to shirk rather than work,” and goes on to say workers with seniority can “pick” their assignments. You and I both know there is absolutely no truth to Ciano’s silly accusations. The fact is journeymen may select their report location but Metro managers assign the work. Plain and simple! In addition, less seasoned workers always work side-by-side with experienced journeymen. An apprentice never goes it alone. Metro’s escalators keep breaking down because they were built for indoor use only, not outdoor exposure. And years of spotty upkeep have taken a toll. It’s only been within the last few months that Metro brought the repair work back in house. Our members are devoted to doing their part to care for the escalators. WMATA needs to back Local 689’s commitment with the necessary capital resources. Now, that’s the truth! Ms. Jeter claims to speak the truth, but let's look a little more closely. First, the original post was here, not at the Examiner or the Atlantic, Think Progress, Marginal Revolution or Infrastructurist. This exhaustive report recommended Metro get out of the escalator management business altogether. Metro, of course, went the opposite way. Third, escalator experts agree that Metro escalators which are exposed to weather are more vulnerable to breakdowns, but most of Metro's escalators are underground or under canopies, shielded from the elements, yet those are often down, too. 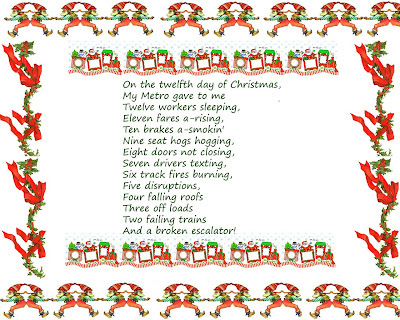 Fourth, Metro's ATU 689 workers have had responsibility for all, or at least a majority, of Metro's escalators since 1991, when they were handed over to Metro in what was seen at the time as a cost saving move. So, it has not just been for the "last few months" as Ms. Jeter would have you believe. 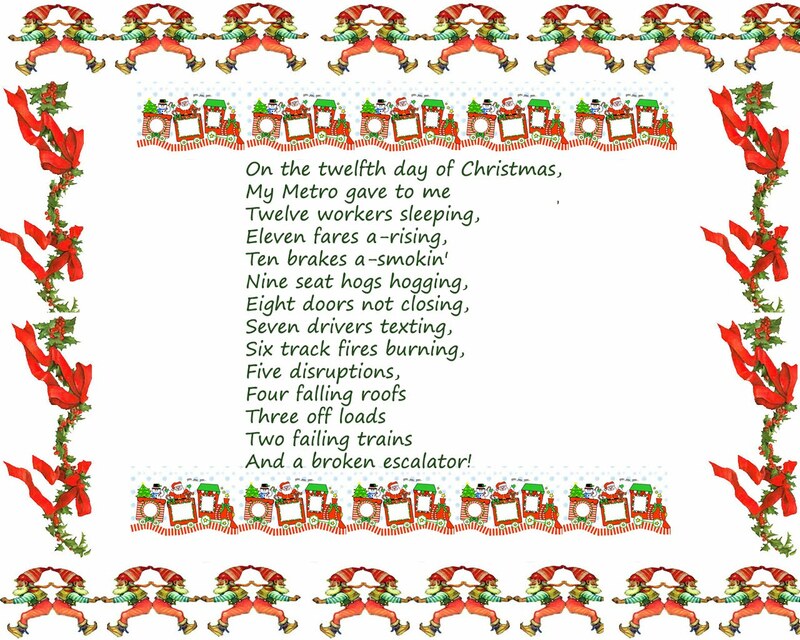 The truth is that over the years, escalator responsibility has ebbed and flowed between Metro and outside contractors. To this day, for the really complicated fixes and major remodifications, contractors not belonging to Metro are called in. Finally, take the example of the Dupont escalators, which were among the last five stations given back to Metro on July 1 of this year. No one will argue that those are old units, and in fact, they are scheduled to be replaced, but a mere two weeks after being handed over to Metro, there was a scary smoke incident caused by a problem with the escalators, which led to the dangerous fiasco in the video clip above. Ms. Jeter will no doubt say her workers were handed poorly maintained escalators, and those maintaining them previously will say they gave the escalators the constant maintenance that was needed to keep the old units operating. Unsuck recently spoke with a former Metro employee who worked for many years in rail car maintenance. What they had to say was alarming. Every night, when trains are brought into the rail yards, maintenance personnel working the "graveyard shift" are supposed to do what is called a Daily Safety Test (DST). Basically, it is supposed to be a check of the inside and outside of the trains to see if there is any physical damage, if there are any non-working parts or if there are other anomalies with any of the cars that would require taking them out of service and taken in for maintenance. Among the things to be checked during a DST would be vital systems and parts like collector shoes, brakes, shoe fuses, circuit breakers, train radios and other items. "Most people don't do it," the source said. For example, they said, one time a train hit something on the track, which knocked off the antenna used for communication with central control, which controls the movement of all trains throughout the system. It should have easily been caught had a DST been performed, the source said, but instead, the train was sent out as a revenue train the next day. One worker, the source claims, had a full-time day job unrelated to Metro and instead of conducting DSTs and other duties, they would lock themselves in a train and sleep the entire shift. "They'd come back with a list of things they'd 'fixed' at the end of the shift, but it was just 'penciled whipped' [made up]," they said. Other drowsy workers would lock the trains so that the cleaning or other personnel could not get in, the source said. People with high seniority have these jobs, the source said. "They're just going through the motions." A former operator remembers that they'd often pull into the yard at night and hear communications over the radio that DSTs were being done on various trains. They said they could hear people on the radio rapidly reading off the numbers of trains that had allegedly been inspected one after the other. "It was too fast for anyone to have really been doing the tests," they said. When we asked the maintenance source about the general disposition of the workers charged with performing DSTs, the reply was simple: "No one cares." What will this weekend turn up? Given the frequency with which fare gates break down or bus fare machines are broken, the reaction seems a little excessive. What do you think? 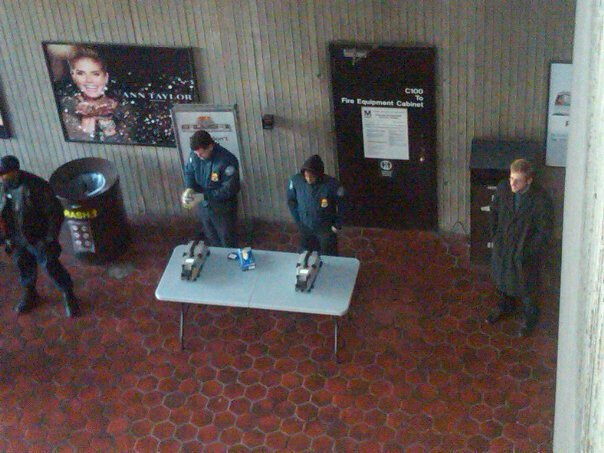 Metro Transit Police seem to shrug at harassment, a far more serious crime. I am writing to report an extremely offensive encounter I had the other morning with one of the Metro Transit Police. I was entering the turnstile at Greenbelt station. The first turnstile I tried was broken, so I used the one next to it, and I noticed the LED display was broken, yet the gate still worked. My boyfriend entered after me, and we hurried to catch the train on the platform. All of a sudden, we heard the policeman on duty repeatedly shouting, "Hey! Feel like paying your fare today?" We turned and realized he was speaking to us. Apparently, the gate didn't scan my boyfriend's SmartTrip card (which he couldn't have known, again, because the LED display on the gate was off). Whether it read his card correctly or not I don't know, but if it didn't, he obviously would have had to pay once he tried to leave the system at his destination. I see that happening to people every day, and it's no big deal. The Metro employee just scans their card when they try to leave. However, this policeman proceeded to yell at us and accuse us of stealing from the Metro system. He also lectured us like we were kids and held onto our SmarTrip cards, so we had to listen to his rant. He added that if he ever caught us doing that again he'd give us a $50 fine. 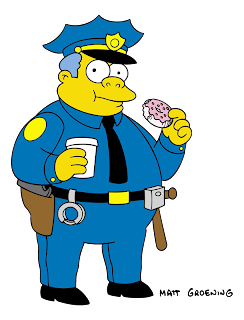 Yesterday I watched two teenagers literally squeezing themselves through a closed Metro turnstile, right in front of a Metro employee who did nothing to stop them, and this policeman yelled at us for 5 minutes when we did nothing wrong? Is this part of some new system to crack down on people who hurry through the turnstile? If so, at least make sure the LED displays on the gates are functioning properly. I am really offended by this. I pay the Metro system almost $14 a day. If someone ever speaks to us like that again, like we're some kind of criminals, Metro will lose us as riders. Get your transit police under control and have them start enforcing actual crimes that take place in the stations. This past Saturday morning, I boarded the Blue Line train to Largo at Pentagon City and saw this sleeping passenger across the aisle from me. He had taken his belt off and tied it to the hand rails on his seat and the seat in front of him. I wasn't sure how to interpret this makeshift barrier: Velvet rope? Crime scene tape? At any rate, this passenger awoke a few stops later, untied his belt, exited the train, and proceeded to re-loop his belt onto his droopy pants on the train platform. 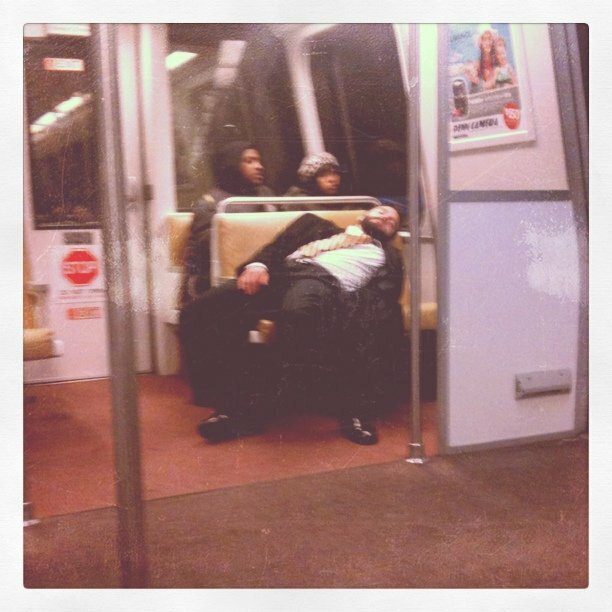 Yesterday morning, I got on the Orange Line at Vienna. As usual, there were only two turnstiles open going into Metro, causing a significant backup. Why they do this, I don't know. But, this is not why my commute sucked more than usual. The first warning sign was that the operator didn't know what train he was driving or what the next stop was. He sounded young, so I assumed he was new. Once we got to Dunn Loring, we held as the operator to get the doors closed. Station attendants were running around on the platform trying to help. After 8 minutes of this, I was certain we were going to offload. While I am in no way religious, I said a little prayer and explained to whatever deity it is that controls Metro that I had a very busy day at work and a conference call at 9:30. I asked it to please, not let this happen today. Sure enough, the doors eventually closed, and the operator announced we would be single tracking to Ballston due to a train broken down on the tracks ahead of us. He then proceeded to speak to someone at Metro with the internal intercom on. 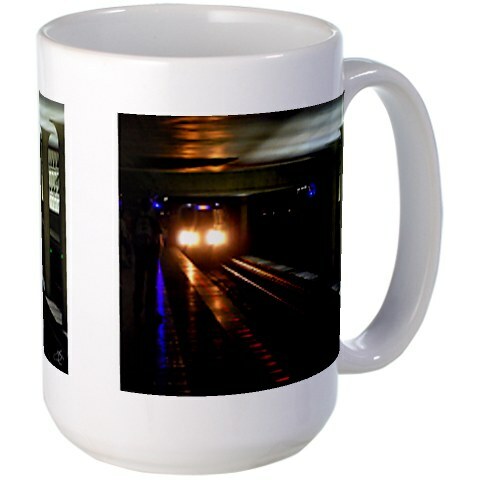 The conversation was mildly concerning, and was something to the effect that he had a code [alphanumeric] problem, couldn't see the other train on the tracks but would wait for a signal to go forward. Yeah, just what you want to hear. 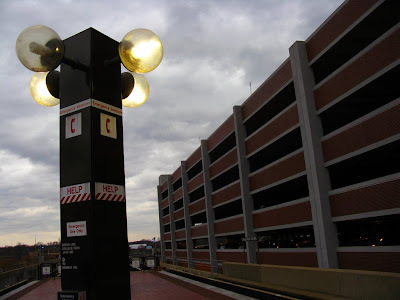 It took us what seems like forever to get to Ballston, and when we finally did, we really started to move, which was fantastic ... until we hit Virginia Square where the operator couldn't get the doors closed again. He tried closing them for five minutes, but finally announced that the train was out of service. The platform was packed already due to the delays, and now our train which was packed like sardines was offloaded onto an already packed platform. I was one of the last people off the train, and there was no room for me to get off. We were packed right to the edge of the platform, and I had mild concerns I would fall if someone so much as sneezed. The platform was so packed that people who were trying to get to the escalators couldn't get through. They yelled to be let through and everyone else yelled that they were stuck and couldn't move. 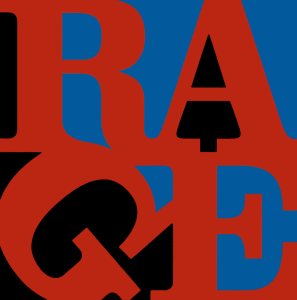 It was chaos. While we waited on the platform Metro announced they were running "especially late" due to the two train malfunctions. Shortly thereafter, I received an email notification from Metro about the disruption between Dunn Loring and Ballston ... which we had cleared 20 minutes prior. The train sat on the tracks for another 10 minutes as workers inside the train tried to get the doors closed. After 7 minutes, according to the notification board, another train came, this one packed to the brim as well due to the earlier delays. I normally wait for several trains to pass when it's crowded, but I was carried on to the train by people pushing behind me. We held for another 5 minutes as the train struggled to get the doors closed due to the sheer volume of passengers. At each subsequent stop we encountered the same problem. I normally give myself 60 to 75 minutes to make what is, according to Metro's online trip planner, a 45 minute commute. Today, it took nearly TWO HOURS. There was never any email notification of the further delays or that Metro was running "especially late." So, I missed my conference call and had to stay late to make up the time I missed. Thanks Metro! It's totally worth the $10.80. This past summer, in response to public pressure, Metro began posting the telephone number for Metro Transit Police in prominent places throughout the system. Given a spike in crime, particularly the theft of electronic items, it was widely seen as a smart move. Thing is, what use is the number if no one is there to answer calls? While waiting for the Green Line, at Gallery Place-Chinatown, at 10 p.m. on Saturday night, I saw a guy get his iPhone stolen. The thief brazenly ripped the phone out of the victim's hand in front of dozens of onlookers, yelled some profanity at the victim and then walked away. I tried to call the Transit Police on the number they list (202-962-2121), but no one answered the phone! I mean I know it's not 911, but I feel like there should be an operator there to answer calls. Perhaps you or some of your readers could shed some light on the situation, but I for one, am a little disturbed that no one answers when I call the Transit Police. The end result of this story is that the thief got away. They'll likely strike again, and it feels like riders are on our own for protection since the Transit Police are incompetent at best. 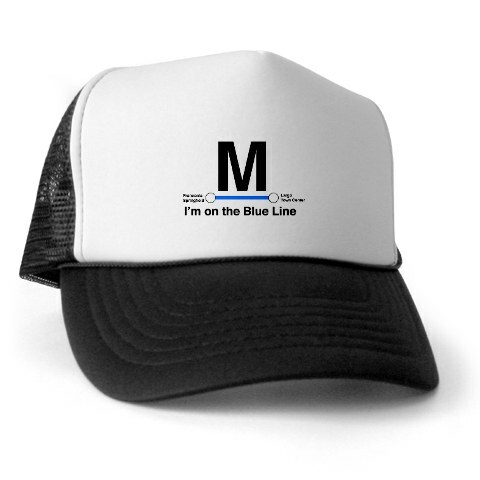 Black Friday and Cyber Monday have come and gone, but it's not too late to give the gift of Metro. Here are but a few suggestions. Since the economy's so bad, and fares are up, you might just want to express how you feel about that special someone by sending them Metro gift certificates. Yes, they really do have them. Tell her you care; send her Metro. No foolin'. They really do have these. Let's face it. 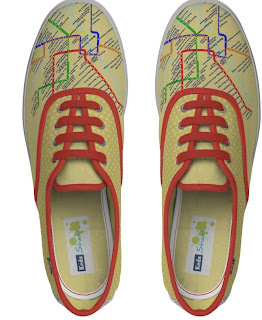 Metro drives many to drink, but you don't want a martini glass at the office. Don't let that new iPod get snatched. 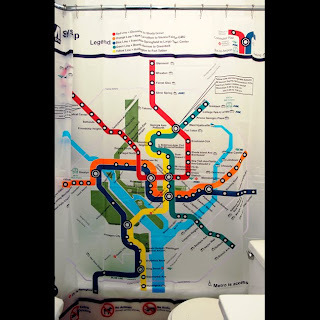 Deter crime on your own with this classy T.
Metro shower curtain: Contemplate delays while you get ready to face them. Available at B, B and B. A bag like this could only "happen with Metro." Yes, you are, and chances are you'll be on the Red Line for a long time, so you might as well be comfortable in this nifty Tee. Get one for all your favorite lines! Still not sure? Why not try the WMATA online store, where you can find such treasures as DC Transit cuff links ($125), a framed 2005 inauguration memorial farecard for $24 (no fare included) or, for the kids, a Metro Squeeze train toy ($7) so they can see that to which Metro apparently aspires. Here's perhaps a little insight into the real reason Metro just can't seem to get their act together with escalators. According to a source intimately familiar with Metro's escalators, twice a year, Metro maintenance personnel bid on the escalators for which they’ll be responsible. Workers with the most seniority get the first choices. 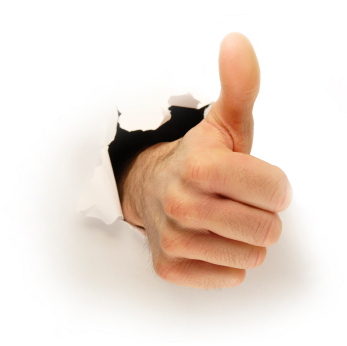 Management is limited in its ability to use best qualified field labor by “Pick” system. To be effective, management must be able to use best qualified field labor to meet equipment service needs. While the “Pick” system would appear to be beneficial in theory, its success is solely contingent upon the performance of the individual worker. The intent of the “Pick” system is to expose each worker to the broadest range of equipment and service scopes, maintenance, service repair, troubleshooting, and adjusting, by rotating work stations semi- annually. It must be realized that not all workers have the ability to perform effectively within each scope. As WMATA’s labor force is drawn from a union base, the ability to implement modification of the “Pick” system would require negotiations with the appropriate union representatives. While difficult, the establishment of a mutually beneficial labor relationship is critical to support the implementation of any changes within the current operational model substantial enough to demonstrate significant improvement. Accountability for conditions of the equipment when received after “Pick” rotation were expressed. So there's some rather bland language explaining the pick system, but here's a more sinister way the pick system manifests itself. The source said it’s very common for someone with seniority to bid on escalators they know to be well maintained so they can slide and and not do anything for the six months it's under their "care." “They can coast for a while,” the source said. “Then when problems start, they can move on,” leaving an ailing escalator under the supervision of someone with less experience. This way of doing things, the source said, "destroys the incentive" of the younger workers who know that if they do a good job, their escalators will be taken away by someone with more seniority. “There’s a culture in which you don’t really have to perform to keep your job,” they said. 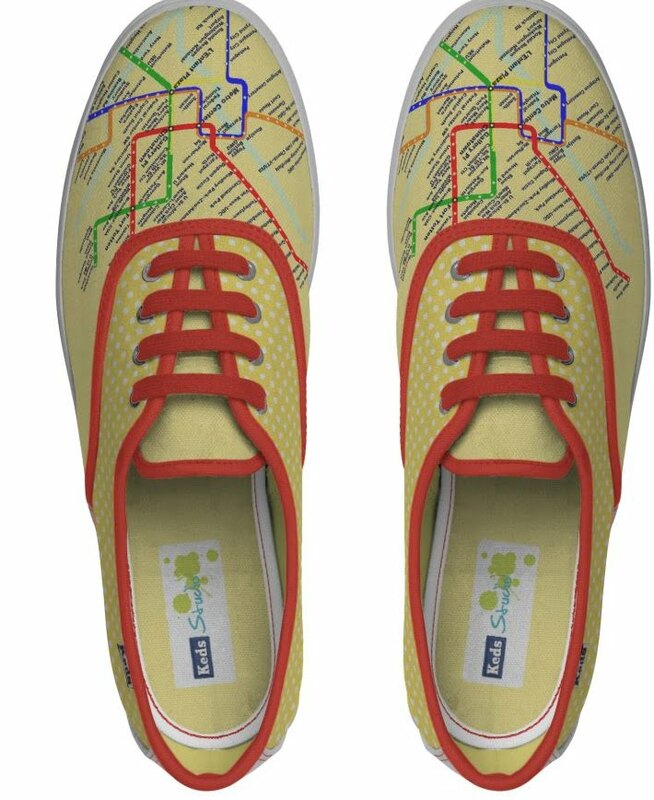 Similar pick systems are used by ATU 689 members to bid on bus routes, station manager slots and train operator shifts. In another scenario, one could easily imagine that operator slots on the Red Line, Metro's oldest, which is plagued by circuit problems, would be the scraps leftover to the least experienced operators. "Picking" jobs is common practice among unions, but at Metro, it sure doesn't seem to encourage high performers or hard workers and it most certainly doesn't seem to be increasing the reliability of Metro's escalators. 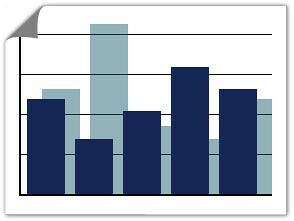 East Falls Church was 0-3 yesterday during both rush hours. Metro reported (PDF) that bus ridership has fallen 7 percent, while rail ridership was down 2 percent. Wonder why. A few weeks ago, while everyone else in the District was on the Mall for the rally, I found myself in Georgetown for work. 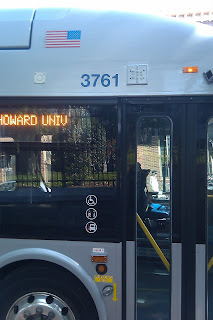 When it was time to go home, I set my trusty Droid to NextBus and looked up when the G2 was expected to leave from its terminal point at the front gates of Georgetown University. I made sure I arrived about 10 minutes before the NextBus-listed departure time to be absolutely sure I didn't miss the bus. I didn't miss it, alright. It was already sitting there, the engine idling, the doors closed, no driver in sight. And so I waited. 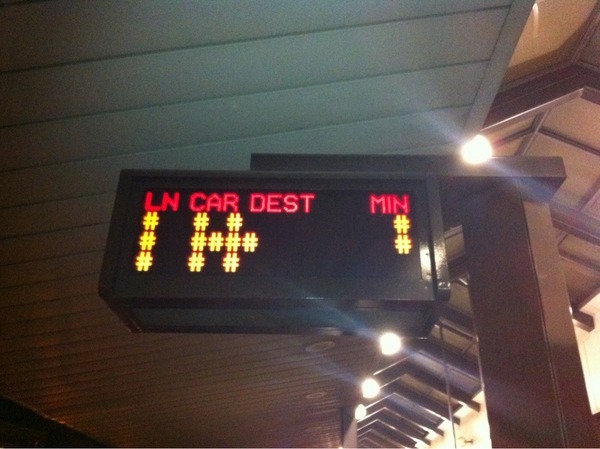 The NextBus clocked clicked down to 1 minute, then displayed "Arriving," then moved on to the next bus in the list. The G2 continued to sit there, engine idling. Finally, after about 25 minutes, the driver materialized from God-knows-where, got in, opened the doors to allow the crowd that had gathered to enter, and commenced the route. 900.1 No person owning, operating, or having control over the engine of a gasoline or diesel powered motor vehicle on public or private space, including the engine of a public vehicles for hire, buses with a seating capacity of twelve (12) or more persons, and school buses or any vehicle transporting students, shall allow that engine to idle for more than three (3) minutes while the motor vehicle is parked, stopped, or standing, including for the purpose of operating air conditioning equipment in those vehicles, except as follows: (a) To operate private passenger vehicles; (b) To operate power takeoff equipment, including dumping, cement mixers, refrigeration systems, content delivery, winches, or shredders; or (c) To idle the engine for no more than five (5) minutes to operate heating equipment when the ambient air temperature is thirty-two degrees Fahrenheit (32° F) or below. 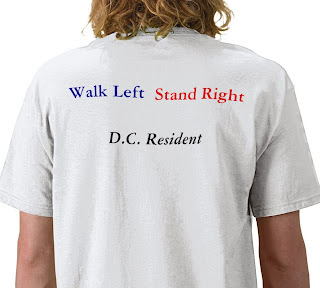 AUTHORITY: Unless otherwise noted, the authority for this chapter is § 412 of the District of Columbia Self-Government and Governmental Reorganization Act, as amended, 87 Stat. 790, Pub. L. No. 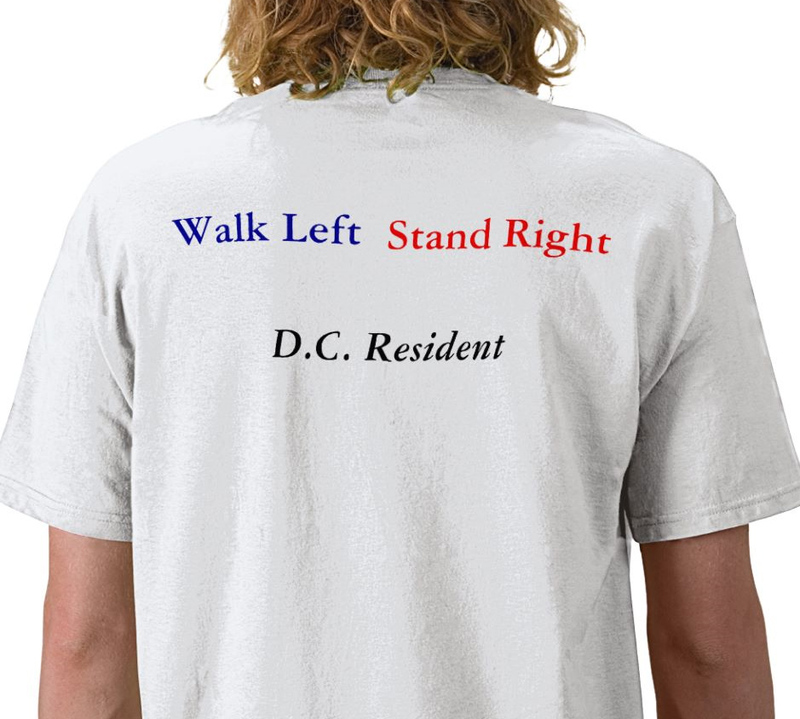 93-198, D.C. Code § 1-227(a); and § 3 of the District of Columbia Air Pollution Control Act of 1984, D.C. Law 5-165, D.C. Code § 6-906 (1995 Repl. Vol. ), Mayor's Order 93-12 dated February 16, 1993. SOURCE: Section 3 of the District of Columbia Air Pollution Control Act of 1984, D.C. Law 5-165, 32 DCR 565, 647 (February 1, 1985);as amended by final rulemaking at 46 DCR 6017 (July 23, 1999); as amended by the Healthy Schools Act of 2010, effective July 27, 2010 (D.C. Law 18-209), published at 57 DCR 7548 (August 20, 2010). Bizarre NextBus phantom bus arrival times that don't remotely correspond to reality? Check. Bus not keeping to posted schedule (The G2 schedule says there are G2s departing from that stop at 1:22 and then not another one until 1:52. I got on at 1:32, and it didn't leave for a few minutes because it took a while for everyone who'd gathered to get on.) even when there's no traffic to prevent it from doing so? Check. Ironic that they had the rally here because if there's anything on the planet that's the antithesis of restoring sanity, it's Metro. Maybe people just don't want to pay for this "service" any more.